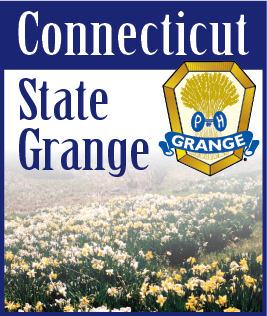 ﻿It has been a great winter and spring, and there are a lot of good Grange things planned for the summer. Many of you have attended your state’s deputy school, officer trainings, degree days or directors’ meetings, and some of you have even attended meetings hosted by the National Grange like Grange Growth Summits or the very popular Pomona Grange summit with a record 143 Grangers in attendance. I would like to thank all of you for taking the time to make an investment for the future. Each of you made a decision to attend these functions not just because you are a Granger but because you see the value of the Grange. You saw in the past something that proved the Grange is worth working for. You heard there was something new that might help your Grange make more money, do more for the community or get some new members. You enjoy hanging out with some of the best people in the country that share your love for this great organization known as the Grange. Because of this, I believe we can honestly say you are making an investment for the future through these acts. Since none of us were around when the Grange started, we can all say thank you to those first seven founding fathers of the Grange for their investment for the future of time and money. We can even think back to those that were in the Grange meeting the night we were obligated and became Grange members for their investment for the future. After all, they took time to teach us how to run a meeting, write resolutions and do community service. Many of them built the many Grange Halls with their volunteer time, and donated materials knowing that the community would benefit from their investment for the future. They didn’t ask for anything in return, but I believe they expected us to learn by their example and to continue the tradition and pass on the knowledge that they have given us by learning what we can, working together, sharing ideas and by all ways striving to exemplify the principles and values of the Grange. A good patron has Faith in God, nurtures Hope, dispenses Charity, and is noted for Fidelity. We don’t take from the Grange; we give. We give our time by volunteering and we give financially by paying our dues. It is this giving that makes the investment. It is the passing the investment on to the next generation that makes it for the future. So, thanks again for attending these State and National Grange functions. Now it is up to us to take what we have received from them and make something out of it to pass on so we do our part and make that investment for the future.